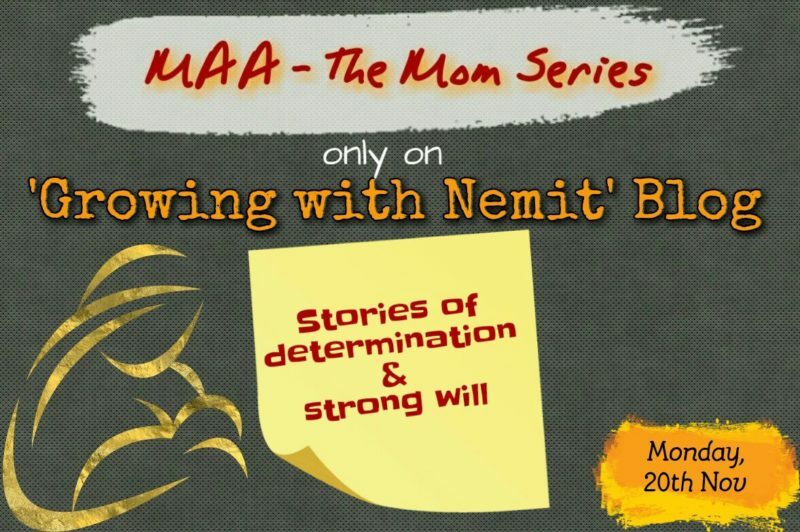 Hey guys, it’s Monday and I am back with another set of power packed stories written by two strong mommies for our MAA – The Mom Series. 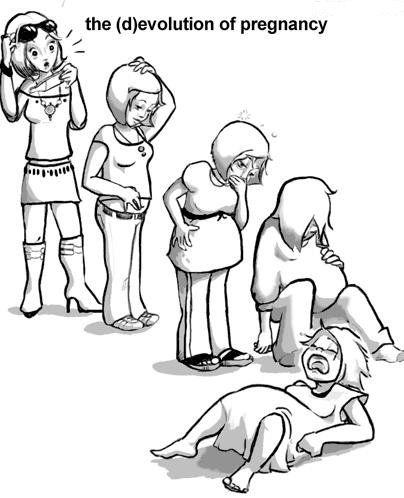 Well, we all mothers know how pregnancy and delivery takes a toll on our health if not taken care of properly. We go through a lot many dilemmas when our life takes a totally new path and sometimes we are left with choices which are in fact the most difficult ones to make. 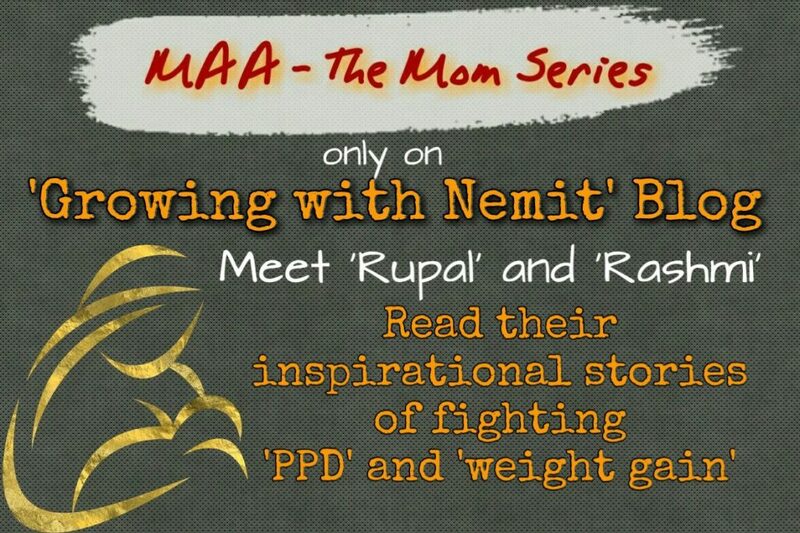 Read the stories of moms who fought depression and weight gain with their strong will and determination. It’s not at all easy for me to write this. I wanted to share my story written with my heart. No one had ever told me about postpartum depression during my whole pregnancy time. You can’t guess that the new mom is suffering from PPD just by looking at her. The problem is that people have many expectations from a new mother and they think that those first days or weeks or even months after child’s birth should be the happiest days of a mother’s life. Yes, I was overwhelmed with love for ‘Prisha’ no doubt but at the same time, I didn’t want to see anyone during those initial days as I knew they would expect me to be the happiest glowing new mom, who’s ready to face the world but no, the reality was far from that. Postpartum depression (PPD), also called postnatal depression, is a type of mood disorder associated with childbirth. Symptoms may include extreme sadness, low energy, anxiety, crying episodes, irritability, and changes in sleeping or eating patterns. Onset is typically between one week and one month following childbirth. 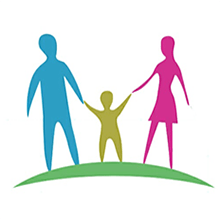 PPD can also negatively affect the person’s child. PPD occurred when I delivered my baby girl after 9 years of marriage, no it’s not because I delivered a girl child, but because of the pressure, I received from family members to feed the baby, which I couldn’t even after trying really hard. I wished someone could understand the emotions I was going through. I went into the black hole of depression that I stopped feeling my worth and just couldn’t connect with the baby. I remember a visit from my sister and papa and that time I just wanted to run and hide somewhere, had an emotional breakdown for no obvious reason. There was a time when I had cried for days, every other relative visiting us to bless the baby just wanted to know whether I was feeding the baby or not and that would make me so sad as well as mad. I didn’t understand why everyone has to offer an advice. I am a mother and I know what my baby needs. If I am not able to breastfeed my baby, I will bottle feed but why every other person has to come and ask the same thing over and again. I tell you this is a crazy world. But I have just one thing to say to them. 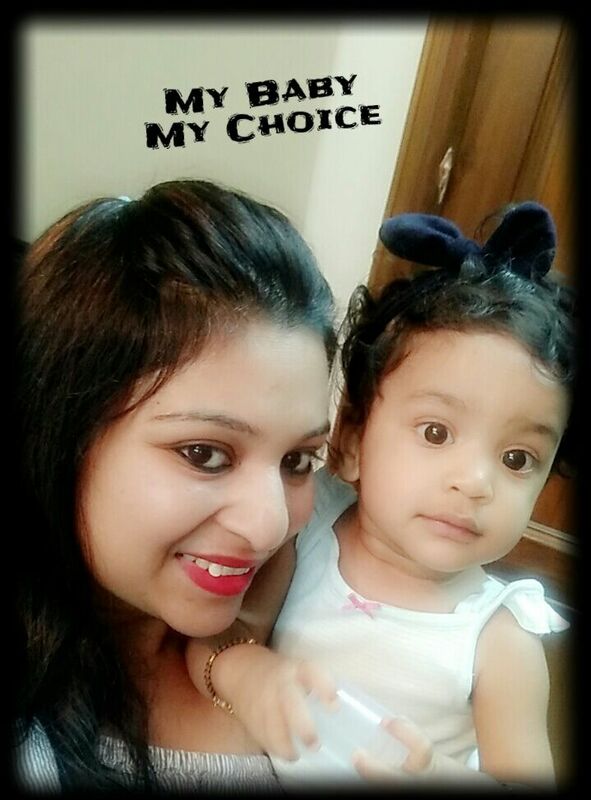 My baby – My choice. I was telling myself this is just the PPD and it will pass soon. But it was not that soon for us, I had a difficult time dealing with what I was going through. Looking at my baby gave me strength and confidence that every mother does the best for her baby and so was I. Maybe I am not a perfect mother, but I am trying to do my best for her. For the world, she may be 20 months old but for me, she is 29 months old, I know her since she was in my womb. I hit the rock bottom, I wanted to feel better for my family, my husband and most importantly for my baby. I was telling myself daily that I am a strong lady and a good mother. I fed her with the bottle and loved her every day despite my anxiety. I didn’t expect new motherhood to be such a wild wave of emotion, that is why I wanted to share my story here. I wish I gave myself a little more grace and didn’t put so much pressure on myself. It took me almost 1.5 years to share this very personal struggle with you all. I finally decided to open up in hope that I too can help at least one person who may be dealing with this disorder that is not often recognized. There will be so many times you feel like you have failed but in the eyes, heart and mind of your child you are SUPER MOM! It’s been 20months since I gave birth to a sweet little girl and time is passing like anything. My baby has turned into a beautiful angel, but am I as beautiful as I was pre-delivery? It was 4th of July 2015, when I saw the two pink lines and trust me it was the happiest day of my life, my husband and I were on cloud nine. I had to leave my job in the first trimester due to official policies and then started the weight gain. I used to be at home all day resting and taking in high-calorie food which was full of tallow. In our Indian culture, we are supposed to eat ghee, oil and dry fruits for normal delivery and also the intake go double as the elders keep saying “you have to eat for two now”. And the problem is you can’t even say no to them. Now when the delivery goes normal, you are again forced to eat the same dishes full of ghee and loaded with sugar. My veggies and dal always used to have extra butter added to them, even my tea was made with full cream milk. When I saw myself in the mirror almost a week after my delivery, I realized how much weight I have gained and trust me that was disheartening because I myself didn’t like to see that fat over my body. It was the moment when I decided what I want to do. On the 25th day after delivery, I stood up and started performing the household chores. I was too firm to get back into the shape, while most women aren’t bothered about it but for me, it was an alarming call. What I gathered was that there was just a need for some extra efforts from our end. Getting married at the age of 26 and delivering a baby at the age of 29 made me think that getting back to my beautiful self, was a far fledged dream now. But this trauma didn’t last for long. All the credit goes to my husband who is tall, lean, has abs and is diet conscious. He is my biggest motivation. I too wanted to look healthy and pretty hence I decided to dedicate some time to the workout. Henceforth I joined aerobics and yoga classes but it wasn’t that easy to leave the baby at home and go out especially when the baby is still on breastfeed and is always looking for you, this time support came in from my Mother-in-law who supported me by taking care of the baby when I went out. Moreover, she took my side by answering back the neighbors as well who would mock me for leaving the baby at home to go to the gym. I was delighted when my gym trainer, a week ago, appreciated me for being a mother to a 20-months-old angel. His words that you don’t seem to be rearing a child since you look so fit and in shape, made me reach the seventh heaven. So all this has been keeping me motivated and at the end, I want to say “love yourself and people will love you back”. Health is not about the weight you lose, but about the life you gain. 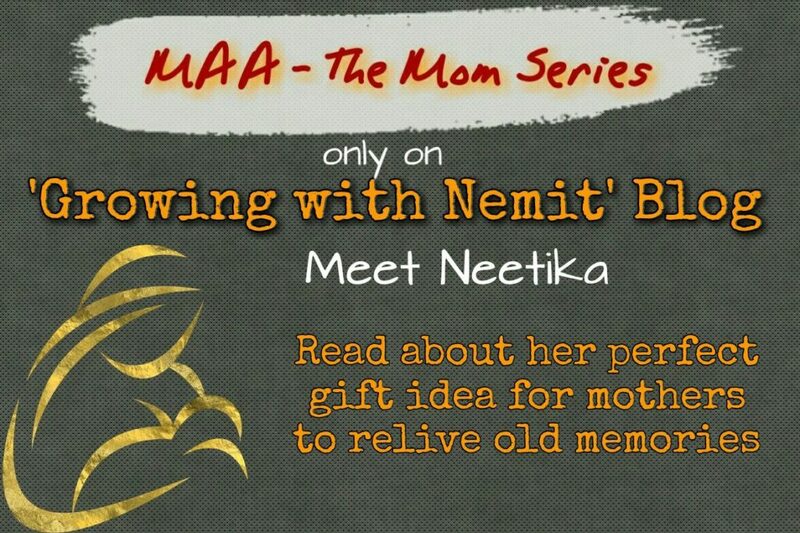 This week, we also have one fun contribution from a super lady who aspires to write fiction stories someday, she is not yet a mother but understands a lot about motherhood. Whenever a woman becomes a mother, she automatically becomes super-talented and comes under the super-goddess species. They know everything and they can do anything. Even the super-fast “BOLT” can’t beat them the way they have the power to smell, watch, hear, and numerous other things they can do in just a frame of time. Though I am not a mother yet still I carry a handful of experience in my belly and all the credit goes to my super-mom-friends who are the source of my crunchy, utterly-buttery flavors of motherhood. 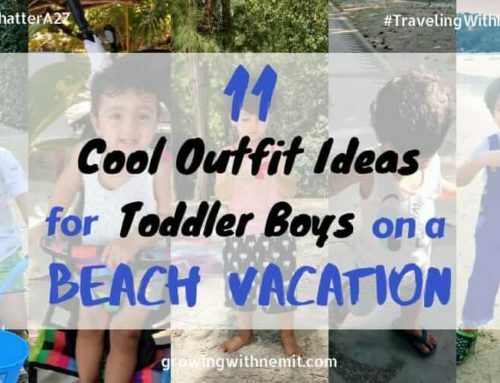 Usually, mothers get emotional while revisiting their kid’s childhood memories. But during those days, they also wanted to get rid of sleepless nights and edgy days. This is the reason why I think that TIME MACHINES are just perfect for our super-moms so that they can ditch those edgy moments and re-live the cutest & happiest ones. Statements like, “O God I am tired of these mood swings”. And after 9 months, “O god I love my little monster”. And like these, “Can someone take this little one away for a while so that I can take my power nap”. And the very next moment, “where are they, where are my kids?”. I hope one day this would be possible and we all can re-visit our sweetest moments spent with our kids. 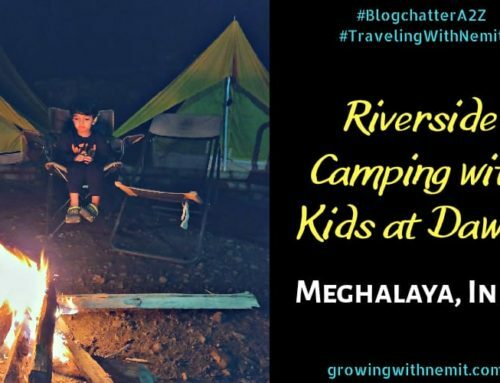 I totally loved reading these stories and once again I have got inspired by these moms to keep going in life, to stay positive and think about our health too for the sake of our kids and family. 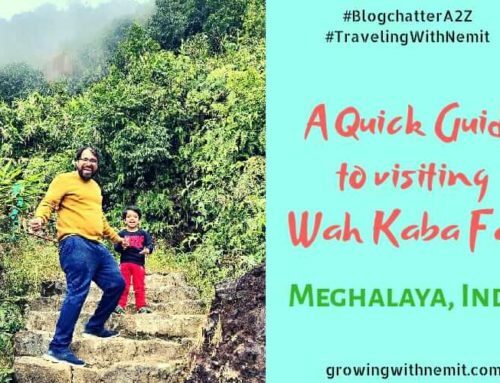 Thanks a lot, Rupal, Rashmi and Neetika for taking out time and sharing your write-ups with me. Means a lot! Mothers can not give from a depleted source. Every mother needs emotional, mental, physical and spiritual validation, nourishment and support. When a mother is respected and well cared for, she and her whole family will benefit. 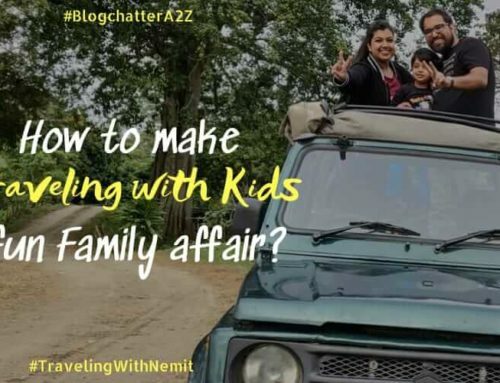 I hope you are liking this series and getting inspired by the beautiful stories shared by the lovely mommies. Do leave a comment below to show your love and support. And do come back next Monday to read the last set of stories for this month! Rashmi well written… Look good. To feel good..
Wow rupal well done . Very well written and explained the feeling of a lady after becoming a mother . Yes it’s true after its our baby so we know what’s right or wrong for them. Wish you luck. Neetika good write up, at times it really feels like the should stop and we just live that moment forever with our baby. I feel to go back and want to relive the day when I first hold her in my arms.wish there was some machine like that. Good luck to you..
Well written Rupal, Rashmi and Neetika. I had my struggles with post partum depression too. And my fat loss journey is still going on! And yes, those memories are unforgettable! Well done Neha! Awesome inspirational story. 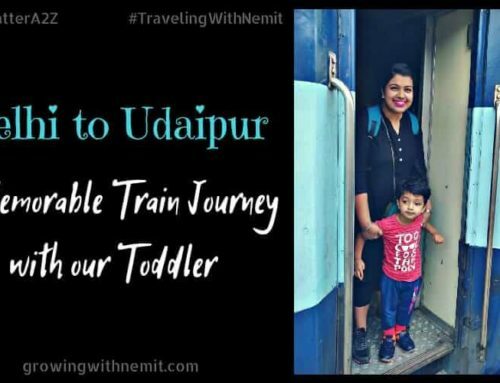 So detailed post about the motherhood journey which is packed up with so many changes in life of a lady…. It’s a nice read… ? These are such deep and touching stories. PPD is such a real problem and if untreated can lead to dire consequences. Life is really bleak for most new moms especially in the early days. Am glad that she got timely help. These stories you are sharing are wonderful. Rupal & Rashmi, you both are very strong women. Thanks for throwing light on ‘dark’ side of motherhood which almost every mother goes through. Your dedication and strength will inspire many new moms. And Neetika, your humour spiced-up this page. Really wish i could have a time machine. Beautifully captured, motivational stories indeed! Hats off to these mothers and kudos to you for capturing them here. Such beautiful stories. I wish Rupal had it more easier; the pressure on new mothers takes the life out of some of us. Although my kids are much older! You look great. I agree that health is very important. A healthy and happy mom means happy family. Good to know about your story. This is a super series!!! Loving to read about motherhood stories. Mental & physical health of a new mum is very critical. Thanks for sharing your health stories Rupal & Rashmi. It’s very important that new mums gets the message of one’s well being. Rupal totally identified with you .The social pressure makes everything worse. These personal stories are difficult to share. Well written by Rupal Rashmi and Neethika. PPD needs to be spoken abt in detail as it is more common than we think.. finding time to exercise is the first step . Followed by incorporating a healthy diet. Thank you mummas for sharing your stories now. You have a nice shape to your thoughts. Very well written. Keep motivated. Pictures of baby and mother duo are too cute. Very critical yet not-so-talked-about topic. I like the way you have shared experiences of different moms. Looking forward to more in such series! It is beautifully written and I agree PPD is something is very rare spoken about. Very inspiring post. Beautifully expressed thoughts. Thanks for sharing. wow! what heart wrenching and heart touching stories. Hats off to ladies who make the best possible choices to be the best moms. 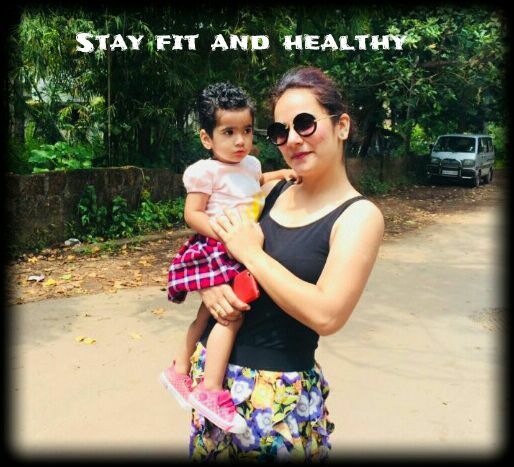 Awesome write up… thank for sharing strong mummas rupal, rashmi and neetika… this is inspiring..usually Postpartum depression is neglected by many and later it becomes a serious issue..